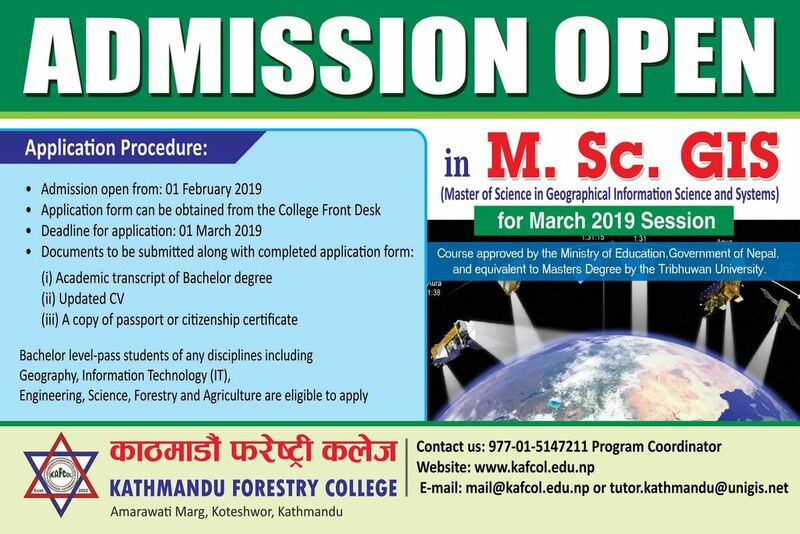 Kathmandu Forestry College announces admission open for M.Sc. GIS (Master of Science in Geographical Information Science and Systems) for March 2019 Session. The admission opens from February 1, 2019 (Magh 18,2075) to March 1, 2019 (Falgun 17, 2075). The application form can be collected from the college’s front desk. Eligibility criteria: Bachelor level-pass students of any disciplines including Geography, Information Technology (IT), Engineering, Science, Forestry and Agriculture.